My mum can grow lavender like nobody else can. While I buy and plant pot after pot that slowly withers and dies hers flourishes through little more than neglect and the occasional picking of a few stems. 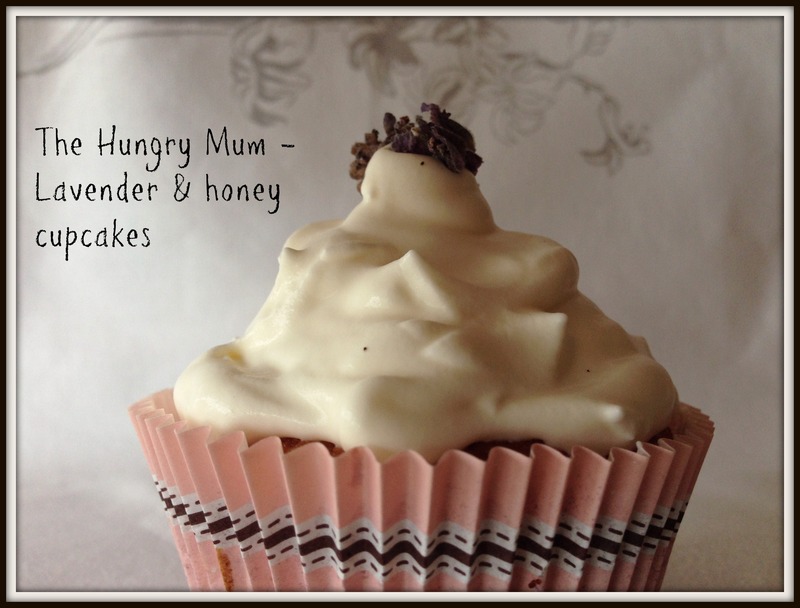 I adore lavender, not lest because it is so bee-friendly. And as we (should) all know by now, no bees = no me. I wondered how it would pair with chocolate – the answer, in case you’re curious, is very well indeed. I am somewhat of a novice fudge-maker but I was very happy with these results. 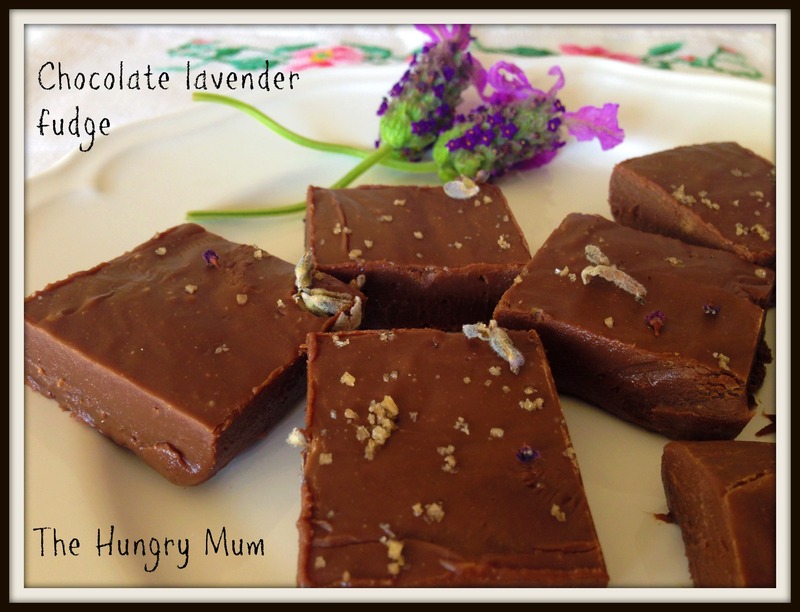 I think a batch of chocolate lavender fudge in a tin would make a lovely ‘thinking of you’ or ‘welcome to the neighbourhood’ gift. At Christmas it would also make a pretty addition to the dessert table. 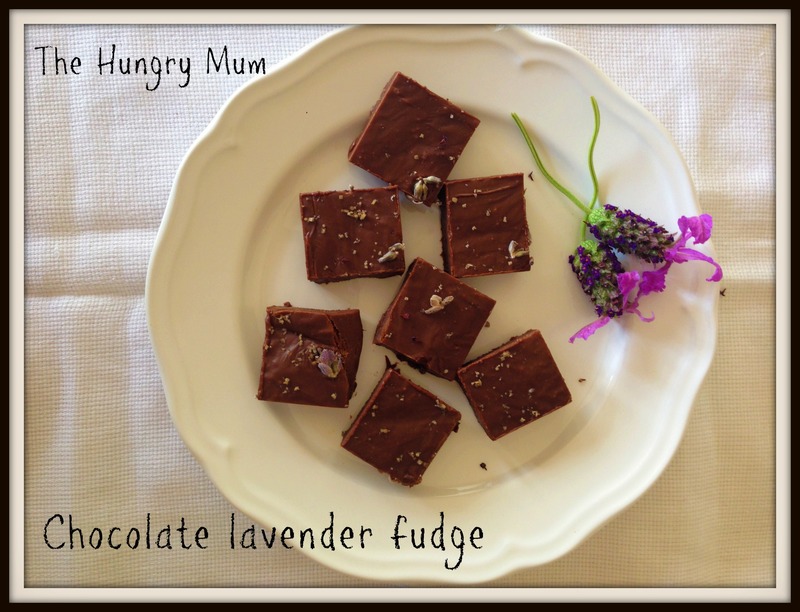 If you need to buy lavender for this recipe ensure it is food-grade. You may have to seek it out at specialist food shops – don’t grab a bunch from your florist or garden centre as it is important to only use blooms that haven’t been sprayed with any chemicals. 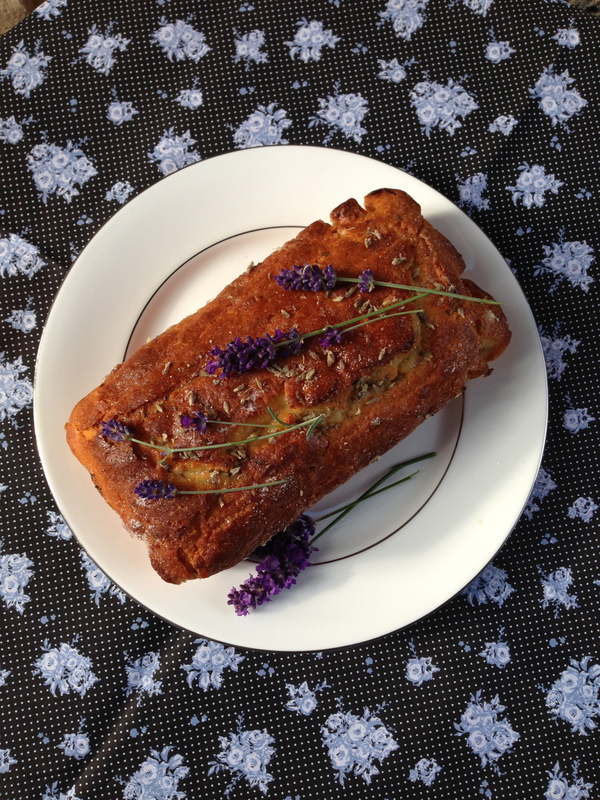 Spray a 20cm x 20cm slice pan with non-stick spray then line with non-stick baking paper, allowing overhang. In a medium glass or ceramic bowl place the chocolate, sweetened condensed milk and butter. Chose a pan on which the bowl will snugly fit, then fill the pan about a third of the ay with water. Place bowl on top, heat to a simmer, then stir the mix until melted and smooth. Remove from heat then scrape into pan. Carefully tap on bench a few times to remove air bubbles, then sprinkle over the lavender and salt. 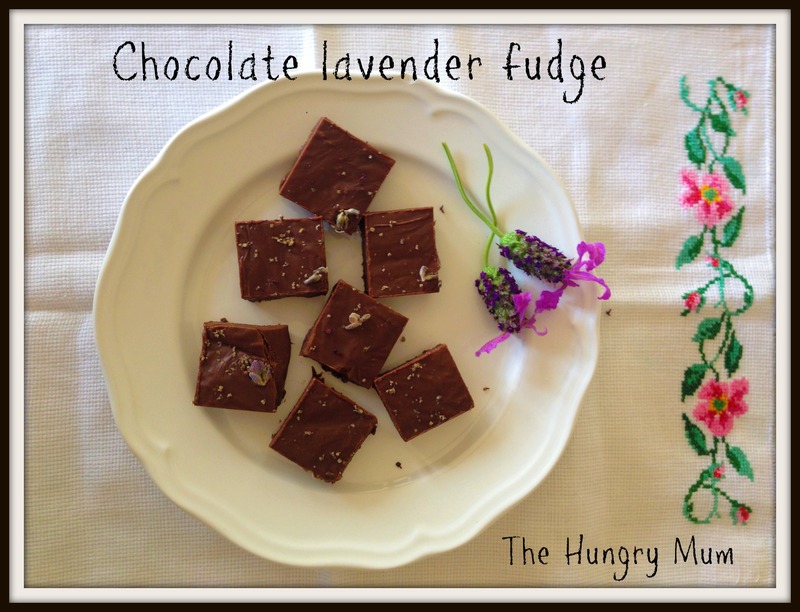 Cool in the fridge overnight, then slice into small squares to serve.